Machine Shops in Birmingham, AL - Jordan Machine Co.
A machine shop company located in Birmingham, AL. Jordan Machine Company, located in Birmingham, Alabama, began in 1948 as a typical small Job Shop for that era, performing maintenance and repair jobs for local industrial customers. Beginning in 1979 we acquired our CNC lathe, making us an early adopter of computerized metal cutting in a small shop environment. In the following years we slowly added more CNC machines and become known in the region for our large CNC machine sizes and our ability to use CNC machines in a Job Shop environment to make small runs of very precise industrial components. Our shop is filled with modern CNC machines for milling, turning and production of CNC machined parts. In addition to our complete industrial machining and maintenance services, we’ve also developed our own unique brand as strategic vendor partners for manufacturers and OEM’s needing custom machined parts for their equipment. Since 1997 our company has been an Employee Owned (ESOP) company where every employee shares in the ownership, vision, and growth of our company. We have many employees with over 10, 20, and even 30 years of employment here at Jordan Machine Co. We are not family owned business, but we’re a team of skilled professionals capable to meet your needs. Please contact us to explore how we can partner with you to become a key vendor and strategic partner in helping you meet production goals, quality, and timely deliveries of your custom machined, precision, industrial parts. 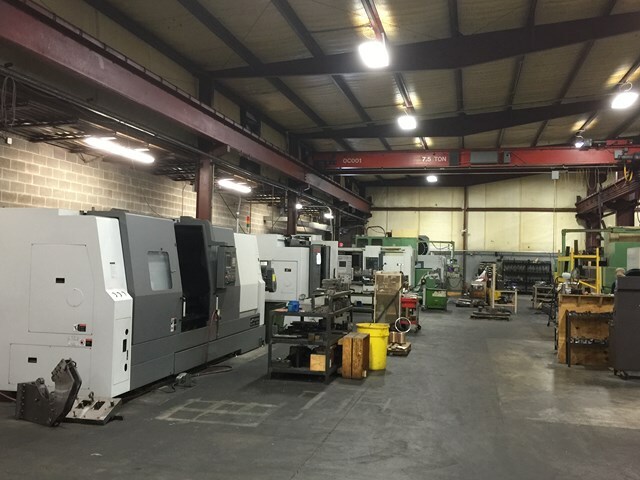 View our google+ page for additional info on machine shop in Birmingham, AL. We welcome you to our state of the art 25,000 square foot facility. We have several Vertical Machining Centers including milling capacities up to 102″ long and Horizontal CNC milling up to 55″ wide. We also have CNC turning with live milling tools and programmable C-Axis milling. We manufacture shafts with keyways milled in the lathe, pump shafts, bearing housings, and flanges, studs and other custom machined items. All our CNC machines are programmed from 3D solid models using SmartCAM CNC software.